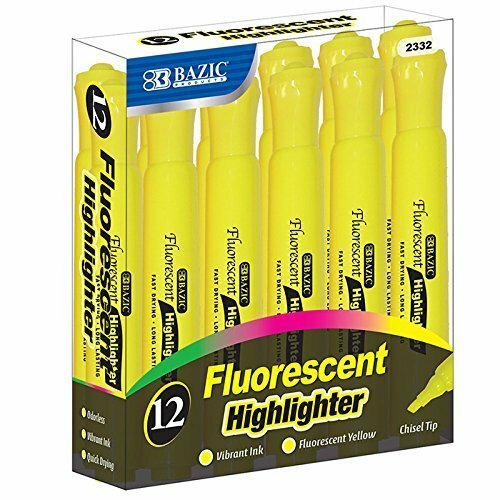 BAZIC Yellow Desk Style Fluorescent Highlighters (12/Box) by Bazic at Ledina. MPN: 2332-72. Hurry! Limited time offer. Offer valid only while supplies last. Sharpie Accent Tank Highlighters, Chisel Tip, Yellow, Case of 12 Dz.